Ah, Spring! A time of rebirth, renewal, hope and overall excitement about the possibilities that lie ahead. And we’re all about the amazing possibilities for finally being your own boss. This year we are combining our 8th birthday celebration and our Spring Into Solo Practice Promotion so we can help pave the way for even more lawyers who want build their solo/small firm practices. Now through April 7, 2017, we will be reducing our first month’s tuition to $127 (monthly renewal thereafter remains $65). If you’ve been putting off enrolling because you thought you couldn’t afford this great education, do not miss this opportunity. Repeat. Do not miss this opportunity. This offer ends April 7, 2017 at 11:59 pm EDT. (New or returning students only). 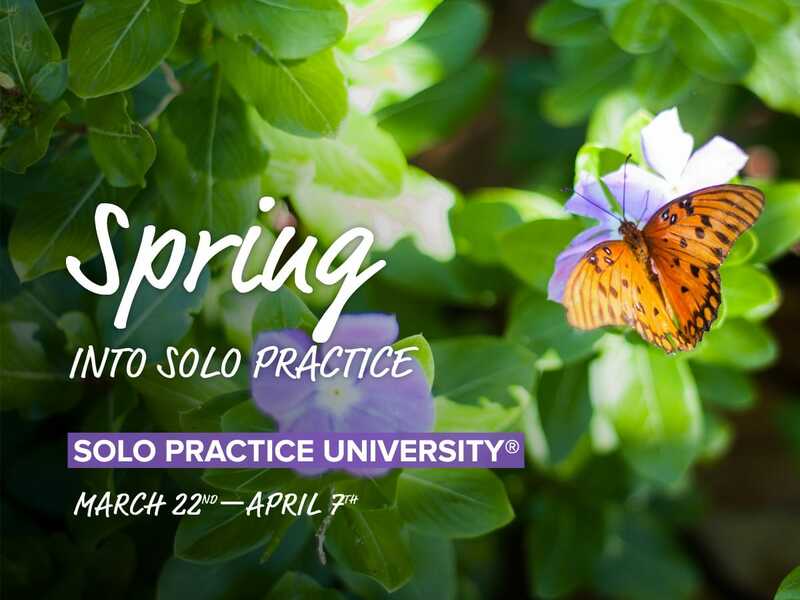 And if you’re already an SPU student but know someone who could really benefit from Solo Practice University and this incredible 8th Birthday and Spring Into Solo Practice offer, share it with them. They’ll love you for it!